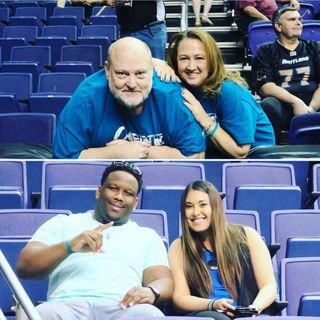 On this episode of Inside the Nation, during a recent trip to Phoenix to cover the Los Angeles KISS at Arizona Rattlers game, I had the pleasure of conversing with John and Michele Staples. They are proud and dedicated members of Arizona's 9th Man. However, it was an unfortunate diagnosis by Michele's doctor that brings forth our conversation. As Michele is in the chemo therapy process of battling ovarian cancer. I have placed a special widget on the 9th Man Nation web site where ... See More AFL fans, friends and family can go to donate via the GoFund Me Campaign to help the Staples family with any and all medical bills that have arisen. In the second part of the episode, Tom joins in on a conversation with former of recent San Jose SaberCats fullback, Odie Armstrong. Armstrong began his AFL career with the Orlando Predators in 2008, one year prior to the suspension of league play for the 2009 season. He then came back in 2010 with the Tulsa Talons, then moved on to play for the Arizona Rattlers in 2011 and 2012, and finished off with the San Jose SaberCats in 2014 and 2015.